Explore a range of Divine Masculine and Feminine Archetypes in a beautiful Western Australian setting. Learn about ancient Greek, Roman, Egyptian and Norse gods and goddesses in their healing forms. This is a wonderful opportunity to deepen your knowledge on this western form of empowerment and transformation. These meditations have originated from a tradition that has been kept alive and handed down through the centuries. The retreat will be in refreshing silence other than class times, and teacher/student interviews. This will help calm our busy minds, in order to absorb the peace of this healing environment, and allow us to listen genuinely to ourselves and the natural world around us. Odin (Wōden), for whom the day Wednesday was named.Known as a seer and seeker of great knowledge, Odin gave up his eye for wisdom, and in doing so he saw the unity in all things. Chief of the Nordic gods, Odin is a wanderer, patron of rulers and outcasts. Odin has two raven companions, Huginn (thought) and Muninn (memory or mind), who bring him information from all over the world. He rides the flying, eight-legged horse Sleipnir, who climbs and gallops across the sky. Odin is also accompanied by his animal companions or guides, the wolves Geri and Freki, whose names signify hunger. Odin has plenty to teach us. Samuel Taylor Coleridge wrote of how important it is ‘to keep the heart awake to love and beauty.’Love is healing – to feel loved is to feel divine. This very human impulse to love, and be loved, is the honouring of the goddess Aphrodite. In Ancient Greece (and through her counterpart goddess Venus in Ancient Rome) this spiritual love was honoured in a higher form, and many temples were built in her name. These places had an atmosphere which cultivated healing for what weighed on people’s hearts. It is possible to still feel this healing experience now. It has been said that ‘Justice is a woman satisfied’. Many ancient texts speak of the divine feminine and masculine energy dwelling in people of all genders. To consciously house these energies is to be empowered in wisdom. By integrating what is unknown in our shadow, we can then create a life filled with compassionate understanding. Humans can then empathise more easily with others, and life can contain less suffering. In Ancient Greece, the goddess of wisdom was known as Athena. As a strategist and protector, she was called to help on battlefields. Carved on Athena’s statues are many symbols which explain a path to protecting and healing your heart, body, and mind. All you need is the key. The ability to protect oneself and provide nourishment resonates with our fundamental survival instinct. Many would say that we need the wisdom of this goddess of the hunt more than ever. As we explore Artemis further, are we ready for her challenge? ‘Stop complaining and start aiming!’ Artemis is the goddess of the forests and mountainous wildlands. A moon goddess, she is a protector in childbirth, of nine-year-old girls (who were called her “little she bears”) and relieving women’s ill health. Always virginal, she was self-wed, free to roam and be true to herself. To connect with the qualities of Artemis within yourself is to ‘come alive again’ and have sharp, clear mental focus. 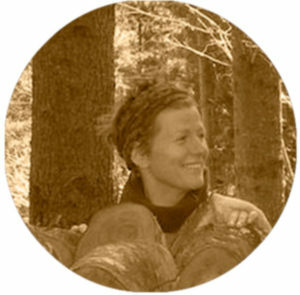 Mira Riddifordis a meditation and mindfulness teacher who runs retreats and series in New Zealand. Her online classes have participants joining from North America, Europe, and Asia. With more than 20 years of daily practice, Mira has been trained through retreat work, study and apprenticeship in the Namgyal Rinpoche stream of teachings. She has a close ongoing relationship/association with the Wangapeka Study and Retreat Centre and the Auckland Sphere Group. Having worked in creative fields, Mira understands how mindfulness can enhance the arts, and she is respectful of diversity in all its forms. Mira focusses on the relevance of mindfulness in modern daily living, and how it can help bring about calm and well being. 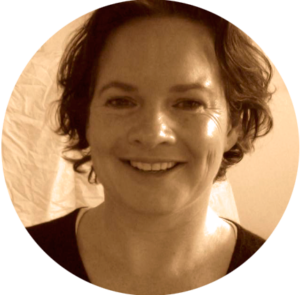 She specialises in making teachings on Western Mysteries, Archetypal integration and Non-Duality available, and clear to students who are new to these subjects. Her contemporary warm and engaging style breathes life into these meditation teachings. On this retreat we will have a holistic understanding of wellbeing for body and mind. 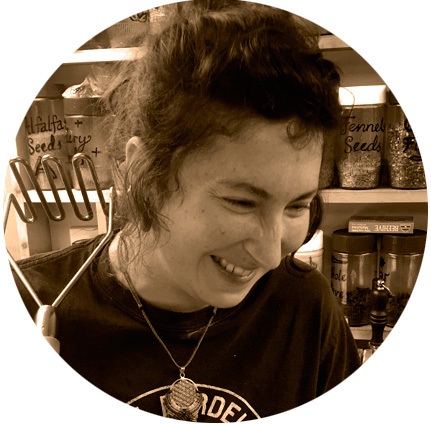 We are delighted to announce Ronnie will bring her warmth and good humour to creating delicious, tasty and healthy meals for us. These figures include food and resources. They don’t include any dana/donation to Mira for the teachings she will impart, or accommodation at Origins which is also by donation. So people from different income brackets can benefit from this retreat, no set fee is put on the teachings. Please give generously according to your means, taking into account Mira has a family to provide for and that meditation teachings are her primary income, you could useas a guide $20 – $60 per day (with the understanding that everyone’s circumstances are different). Please bring cash to pay for the Dana. The Origins Centreoperates on a philosophy of mutual respect, support, and goodwill, known as dana. Dana is the spirit of generosity and can be expressed in many ways. The Centre functions successfully through freely given donations of money, in-kind contributions and gifts of service. As a charitable not-for-profit NGO, we rely on the goodwill of the community and those staying here. Because dana expresses both giving and receiving, it doesn’t imply a one-way donation. People support the Centre because they are themselves supported here and because they want to extend the offering to others as well. Dana enables individuals and groups to support each other in a flexible, inclusive way that supports freedom and responsibility. Or internet banking details are on theregistration form.